If you want to destroy a country from within, hit its internal political stability. Less than two months after the Union was announced, the first attempt to shake UAE stability took place in Sharjah. I was in charge of the state’s stand against it and to stop the attempt. Shaikh Khalid Bin Mohammad Bin Saqr Al Qasimi ruled Sharjah since 1965. He signed the Union’s unofficial Constitution on the 2nd of December in 1971 and Sharjah became part of the UAE. So there was no way to destroy the stability or to change the rule of Sharjah at any cost. I ordered that electricity be cut off from the palace. I didn’t know who was the person behind the coup. 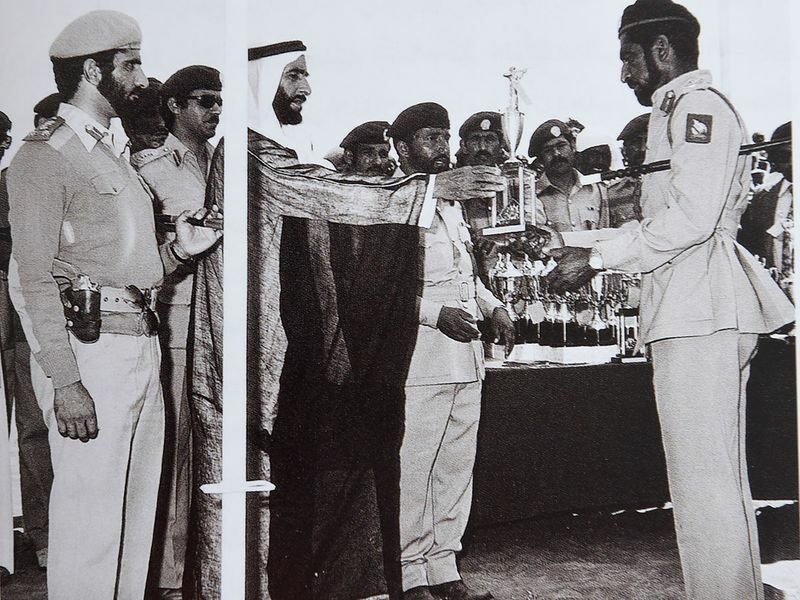 The leader of the coup was Shaikh Saqr Bin Sultan Bin Saqr Al Qasimi, who previously ruled Sharjah. He had affiliations with Arab Nationalists and was actively supporting them. So we were concerned that his coup had deeper roots, other than an internal family dispute. Our biggest fear was that he would have supporters and followers from outside the country. We had to move fast, before he got any support from any party. I asked for troops from Abu Dhabi because I had no idea of the number of men supporting Shaikh Saqr and moved troops from Dubai. But I couldn’t wait for them. I took two of my men and went Shaikh Khalid’s palace. I arrived and spoke to Shaikh Saqr on the phone as if I had an entire army behind me, waiting to enter the palace. I didn’t really know whether or not it was an intelligent military move or a tactical blunder. What I did know, however, was that bravery during this kind of situation shakes your enemy‘s resolve and makes him feel weak. He went out with his son Sultan and other men. The new-born country has no place for him after what he did to his cousin. After the coup, I realised the danger the Union faces — how its stability can be shaken by its own sons from within, whereas before it was from without. After this episode, I had lasting anxiety. Every time the phone rang, I jumped to answer— standing — preparing for the worst. During those years, I didn’t recall answering a phone call once while sitting on a chair. After ending the coup, I met Shaikh Zayed in his car. He gave me dates and coffee as if to tell me: “You… You Mohammad”. And that cup of coffee and dates were the best price and certificate I had ever received in my life. In 1977, stress had become my companion. I would frequently taste bitterness in my mouth due to acid reflux, and high levels of adrenaline in my veins. 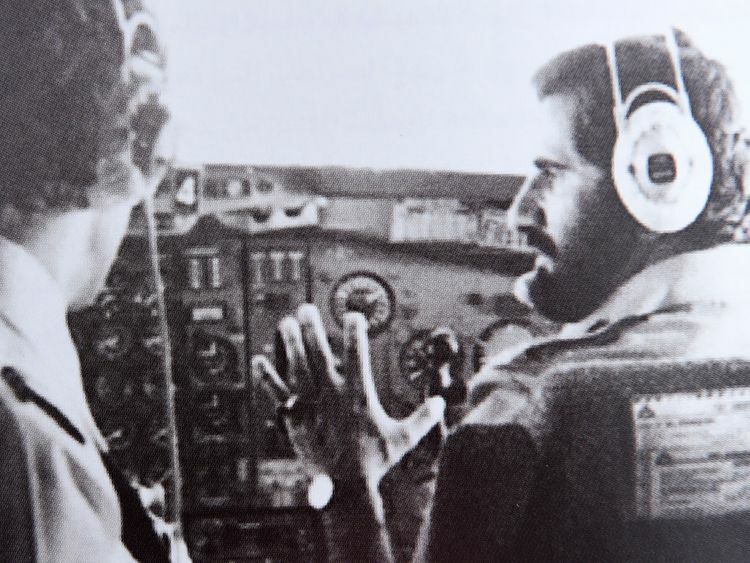 At 7am, in one of my morning meetings at the Defence Ministry, I followed a Lufthansa Boeing 737 with 91 passengers and crew hijacked by members of the Palestinian Liberation Organisation (PLO). They were asking for the release of some of their friends from jails in West Germany. For some reason, it grabbed my attention and thinking all day — until I knew they were landing in Bahrain. I understood why it took my attention: It turned out that the aircraft was only refueled and was heading for Dubai. I heard the pilot speak, tried to imagine his state of mind. I knew we were in a difficult situation. When it landed, one of the hijackers took the microphone and started yelling. I made sure to keep the conversation going. I didn’t need a psychoanalyst to tell me that he was unstable. And then I realised the souls that depend on that man who can crumble at any moment. He was talking fast, but unclear about his “enemies” — the “imperialists” who rule the world. I spoke to a man with no logic for 48 hours. We talked about his family, and many things totally unrelated to the situation at hand. In between, I had asked him to surrender a number of times. He refused. I calmed him down when he got angry and started threatening passengers. I wasn’t able to help the passengers or crew, sitting away from them. I thought of their families, imagined if one of the family members was on the plane. I knew that any mistake could lead to the death of an innocent soul. The only way was to wait. Negotiate. Convince the hijackers that they won’t get anything — and they have to surrender. After 48 hours, the aircraft was refueled, after they threatened to kill a passenger every 10 minutes. They left. 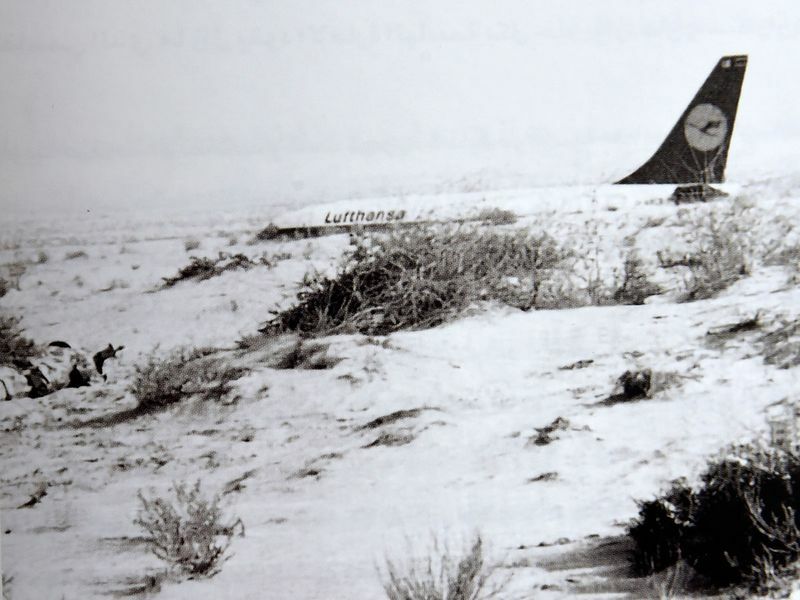 Upon reaching Aden, they killed the pilot and threw him out to the runway. The pilot’s name was Jürgen Schumann. Days passed and I can still hear his voice in ringing in my ears each time I close my eyes. I was the last one he spoke to before the plane took off from Dubai. I hold him: “God protect you Captain. And he gave me a signal and that he heard me. October was long, as if it will never end. Then another innocent soul was killed on UAE soil. After a meeting with Syrian foreign minister Abed Haleem Khadam in Abu Dhabi on my way to Dubai, an emergency call made me park on the side. It was an assassination attempt on Khadam. A bullet missed him but killed Saif Bin Ghobash, the UAE Foreign Minister, who minutes ago was full of energy and life. I asked myself: How can a human being be so ruthless, killing another human being as simple as that! I hate killings and unjustified violence. I promised myself to make this country safe and secure for anyone who lives on its soil. And I take any violence committed in our land personally. May 6, 1976 was an historic event. I felt I delivered on my promise to Shaikh Zayed and to my father. I felt the mission was accomplished: a real force of the country was formed. I felt that on that day, I had delivered and was on par with the trust placed upon me; built a force that will protect our country, laid down the foundations for a strong country — respected and with sovereignty. No one could hinder it, or stop it. States must make tough choices. A choice between the battle of development or battles of politics. A choice to invest resources in developing or burning them in conflicts. A choice between war and peace. I remember 1979, the year I saw some countries next to my home chose war. We chose development. Forty years later, I saw the result of these deliberate choices. 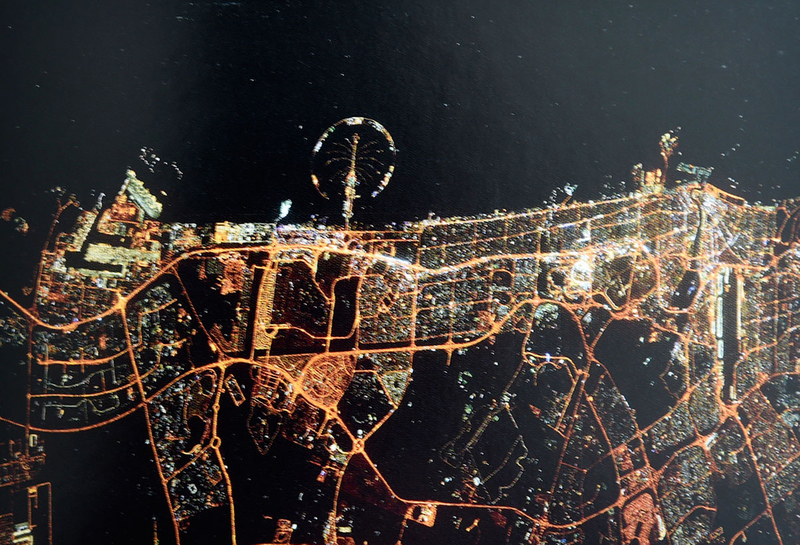 In 1979, Dubai saw a pivotal year. Three big projects were launched: Jebel Ali Port, Dubai Aluminium (Dubal) and the Dubai World Trade Centre (DWTC), the tallest building in the Middle East, and the largest in the world. The year also witnessed the Iranian Revolution and Saddam Hussein coming to power in Iraq. That same year, we saw a confrontation between the region’s big powers. On September 22, 1980, the war began. For eight years, we chose to stay on the sidelines. For us, those were not lost years. One positive outcome of the war: The Gulf Cooperation Council (GCC) was established to unify our collective defence forces. On May 25, 1981, the GCC was officially announced. I sat there proudly; it was my dream. In 1988, the war ended; it left more than 1 million people dead and more than $1 trillion dollars in losses. It ended with no clear winner. Until today, we don’t know why it even started. 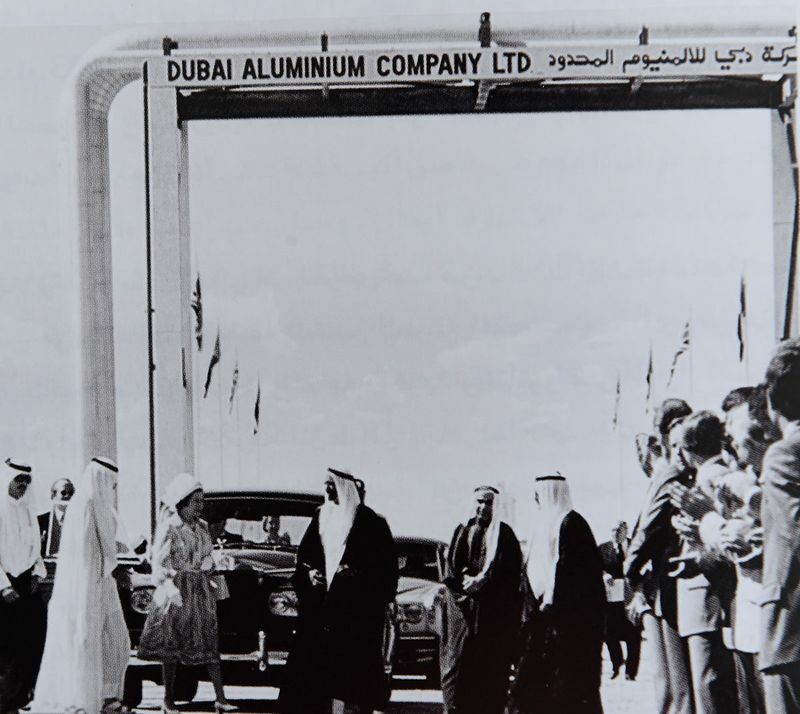 Today, Dubal is the world’s fifth-largest producer of aluminium, after it merged with Emal (Emirates Aluminium). Jebel Ali has a free zone with more than 7,000 companies. We run 48 ports worldwide. Dubai World Trade Centre today is the largest exhibition centre in the region. More than 3 million businessmen, experts and specialists gather annually in more than 500 functions and exhibitions. Yes, after 40 years, between war and peace, you see the sum of the choices you make. I was only 10 years old when I realised Dubai’s potential to be a big city for investors and tourists. It was a strong feeling I had when I stood for the first time, amazed in the middle of London’s Heathrow Airport. Years passed. Dubai built its own airport. My life was devoted to the political and military aspects of building the Union. But inside me, I remained convinced Dubai had to become a destination. I couldn’t forget that encounter when by father asked the British Overseas Airways Corporation, during the opening of the Dubai Airport, to start a flight between Dubai and Mumbai (or Bombay, as it was known in those days). The company refused. Their reason: There was no demand for seats on this route. My father replied: Connect Dubai and Mumbai and leave the selling of those seats to me. Then the number of airlines and flights increased from that day, till it reached 15 airlines, connecting us to 42 destinations in the Middle East and Europe. In the beginning of the 1980s, we heard about Shannon International Airport in Ireland that built a duty-free facility. We called them to build ours, which opened after six months. Today, Dubai Duty Free is one of the world’s largest. Its sales account for 51 per cent of the global duty-free sales and serves 90 million travelers yearly. On the sidelines of one of the Gulf Cooperation Council (GCC) meetings at the beginning of the 1980s, while all ministers were discussing challenges, prices and many other political matters, I was still in my mid-30s. I was the youngest around the table. And the most bored. From all the never-ending political talk. All eyes looked were glued to me in complete silence. Then one of the old foreign ministers laughed. I didn’t want to argue. I felt sad. We don’t use our resources more efficiently. We do not trust our youth. We never try something different. I only wished that cooperation took place at other levels, rather than simply on political and military matters. I thought that our operating systems, be it in the Gulf or the Arab region, needed to be restructured and attuned to new ways of doing things. I always wondered: What if these structures were governed by men of development, business leaders? What if it they were led by service-oriented people, whose main goal is to develop services and infrastructure for our people? Maybe it’s time for businessmen and investors to govern this “cooperation”, instead of foreign ministers. Maybe. Why not? I kept that comment of my friend, the foreign minister, in mind. Here, my convictions were validated. My belief that we have a resource called the sun — and the desert, and safety, and the nice hotels and quality service. These needed to be used, promoted. Today, the Dubai tourism industry revenues make account for one-third of the tourism industry in the Middle East, reaching $77 billion in 2017. The principles of ruling Dubai are based on openness to the world. Justice for all. The rule of law. Healthy competition. Opening the way for everybody to work, invent and invest. Any investor has the right to compete with anyone else — even if the “other” is the Ruler. These are the principles of stability that have proven to work for generations. In 1983, a dispute had occurred between Gulf Air and Pakistan International Airlines over landing rights. Gulf Air asked me to stop the Dubai’s “Open Skies” policy — or they would withdraw from our airport. It meant losing 70 per cent of our airport’s traffic. I hate conflicts. It is neither smart nor a civil way to solve problems. But if the other party doesn’t want to be civil, then one must act firmly. 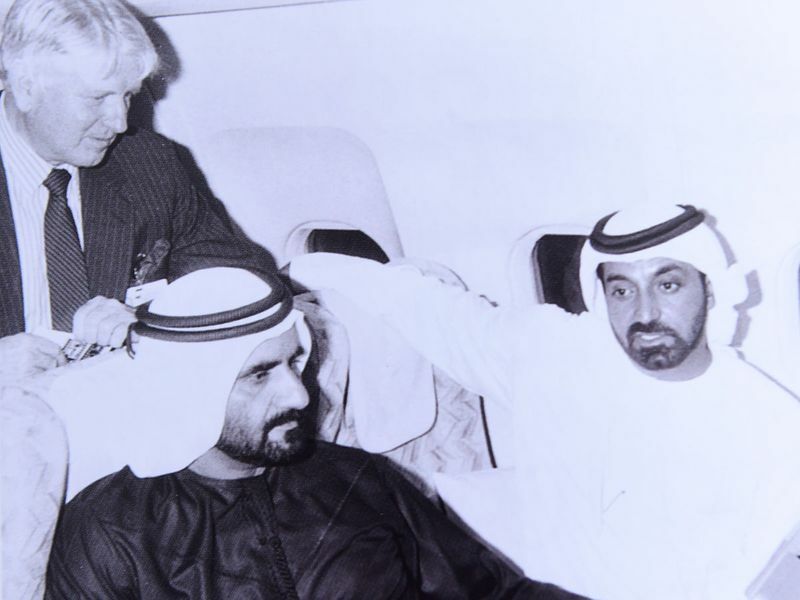 I called the CEO of Dnata (Dubai National Air Travel Association), Maurice Flanagan in 1984 to my office for his advice on a dream I’ve always had: the establishment of an airline based in Dubai. A private airline, not a public entity, contrary to the set up in all the Arab countries. A company that abides by private-sector rules and regulations. A company that has utter financial independence. The feasibility study came from Maurice in favour of the project. I asked the team: How much would it cost to launch an airline? My answer: OK, but I won’t pay a dime after that. I asked Shaikh Ahmad Bin Saeed Al Maktoum, who is younger than me by a few years and had just graduated from the US, to be the CEO of the new airline. We started with two planes leased from Pakistan International Airlines. Today, Emirates airline has earned numerous awards as the world’s best airline, and has a history of continuous revenue growth for 30 years. In 2018, the group’s revenues reached $28 billion. It has more than 260 aircraft, flies more than 60 million passengers annually, and employs more than 100,000 people. 1985 was a breakthrough. I launched Emirates airline and the Jebel Ali Free Zone, a commercial and industrial area within which foreigners could own 100% of their business, and allowed them to acquire Customs exemptions for imports. On the first day, there were 300 companies registered with the free zone. The dream got bigger. Emirates grew with the Dubai Airport to deal with 90 million travelers. Dubai Ports World grew to handle 90 million containers yearly. I don’t know the relationship between these numbers. Maybe because we launched them in the same year? Or perhaps standing 45 years ago with my father in Jebel Ali to plan the ports had something to do with it? My father and I, 45 years multiplied by two is 90? I don’t know. My first memories of Beirut was when I was young. We had to travel to Beirut to reach London. It amazed me as a child. I loved it when I was a boy, and saddens me now that I’m old. The streets were clean, the neighbourhoods were beautiful, there were modern shopping districts in the 1960s. It was an inspiration for me and a dream for Dubai to become like Beirut one day. Unfortunately, Lebanon was divided and fragmented into sectarian dimensions. So Beirut was no longer Beirut. In 1976, as a result of the Riyadh and Cairo Conventions to stop the civil war in Lebanon, “Arab Deterrent Force” was formed. UAE was part of it. We were to work for a ceasefire and peace in the country. They were heavy days on me, I did everything to get my men ready, I memorized their features and all what is related to their families and to their dreams. I felt am sending them to danger, that was a very heavy burden on my shoulders. But at the same time I made sure to lift their morals telling them "We will go for peace and not for war, to save our friends and brothers." I can't find words to describe the awefulness of wars, and from my fighting experience, I know its not the solution. My second stop with my beloved Beirut was the worst in 1982 after the horrible massacre of Sabra and Shatila. I never accepted the idea of murder, and never comprehended the fact of Why it jappend in our world. I lead the UAE aid innitiative, 'C130' planes filled with tonnes of food and huminitarian aid, one of the largest out of the gulf. Those scenes are still in my memory, leaving a great wound in my soul. The wound is always greater when you have a nice memory of the place, and your mind compares the once beautiful city to the one you see now. Even your heart compares the nice and energitic people of Beirut you once knew, with the horrific scenes of death and killings that just happened in that place. News about Iraq’s invasion of Kuwait on August 2, 1990 came as a shock to me. I remember having asked a general to repeat it to me three times. How could Saddam have done it? What was his next step? It was a turning point that changed the region. People started leaving. I ordered that no one should be stopped. Cash can leave the country. Weeks later, the same people returned with cash back to Dubai. If we had stopped them, we would have doubled their fear and caused them to believe our banks were unstable. We proved that nothing changes in Dubai. Saddam was forced to withdraw after a successful military operation and the UAE forces had the honour of being one of the first troops to enter Kuwait as part of the liberation forces. We are indebted to Kuwait. And if the war was prolonged, we would have given our lives to liberate it.